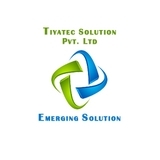 Tiyatech Solution Pvt. Ltd is a growing leading company in the field of Supplier and manufacturer of lt ht panel, servo voltage stabilizer, online ups, voltage stabilizer, ups, uninterrupted power supply,etc.It also indulged in manufacturing a qualitative assortment of Voltage Stabilizer, Power Stabilizer, Online UPS and Isolation Transformer. Located at New Delhi (Delhi, India), we have constructed a state-of-the-art infrastructural facility. Under the meticulous vigilance of “Rajeev Rathi (Director)”, we have been able to attain huge client base. We are backed by well-furnished infrastructural unit that spreads over a vast area. This infrastructural unit is installed with all the required tools and machinery that helps us to manufacture these products as per the defined quality standards. These processes are handled by our professionals who are appointed keeping in mind their experience in the domain. Tiyatech solution pvt. ltd offers a platform for personal growth and professional advancement. Here at Tiyatech solution, you will have the opportunity to handle the challenging responsibilities and working with domain experts/professionals. Life at Tiyatech Solution is not only challenging, rewarding but exciting enough too!